When Saradindu Bandyopadhyay created his amateur sleuth Byomkesh Bakshi in 1932, there wasn’t much of a homegrown tradition of detective fiction in Bengali (or, for that matter, Indian) writing; what little there was tended to be highly derivative of the West. In fact, by dabbling in a genre that was looked down on in highbrow literary circles, Bandyopadhyay risked not being taken very seriously as a writer. Today, however, the Byomkesh stories are what he is best known for, and they form one of Bengali literature's fondest legacies. Non-Bengali readers like this reviewer spent long years hearing about these stories from friends, or watching some of them on the popular TV serial shown on Doordarshan a few years ago, without ever being able to read them firsthand. Occasionally a mediocre, indifferently edited translation would find its way to bookstores – hardly the best way to stoke reader enthusiasm. Then, a few years ago, Penguin India published Picture Imperfect, a collection of early Byomkesh Bakshi stories translated by Sreejata Guha, who did a fine job of capturing the spirit of the original stories. Now comes a new collection, again translated by Guha, which takes off from where the earlier book left off. Chronologically, the last story included in Picture Imperfect was "Chitrachor", originally published in 1952. 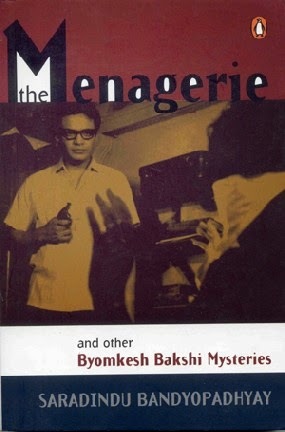 The Menagerie and Other Byomkesh Bakshi Mysteries brings together four stories written between 1953 and 1967: "The Menagerie", "The Quills of the Porcupine", "The Jewel Case" and "The Will that Vanished" (originally published as "Chiriakhana", "Shojarur Kanta", "Monimondon" and Khuji Khuji Nari" respectively). The first two are novella-length while the others are short stories of between 20-25 pages. 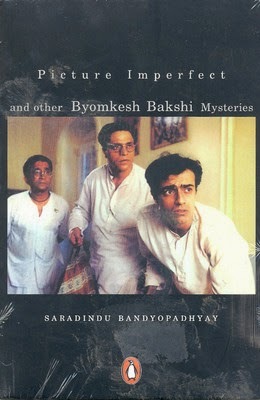 Set mainly in the Calcutta of the 1930s and 1940s, Bandyopadhyay's mysteries chronicle the varied triumphs of the detective (though Byomkesh prefers not to be addressed thus, calling himself a satyanweshi or "truth-seeker" instead), from the solving of peccadilloes like the theft of a necklace to the investigation of serious crimes such as a vicious murder. The tales are mostly narrated by Byomkesh's friend and flatmate Ajit babu (a writer by profession), though the later ones are marked by an increasing use of the third person. The shorter stories here, which feel a little more dated, are mainly straightforward narratives hinging on a single important plot point – a careless utterance picked up and filed away by Byomkesh's sharp mind, an incongruity that no one else notices. If you're an experienced reader of detective fiction, some of the deductions will seem obvious, even naive. In one story, a letter written in invisible ink is the big plot twist (and no, this isn't a major spoiler). In another, Byomkesh lies sprawled on an armchair looking up at the beams on the roof and thinking for 15 minutes before making a fairly commonplace inference. Of course, these pieces do serve their own function – they are cosy and undemanding, a throwback to the adventure stories that we used to read as children and occasionally revisit in our more nostalgic moments; one might comfortably breeze through them on a lazy Sunday afternoon just before a siesta, or even when there are 15-20 minutes free in the middle of the day. But it's the longer mysteries – represented in this collection by "The Menagerie" and "The Quills of the Porcupine" – that allow the author to expand the whodunit formula into a more searching examination of a society and the individuals who make it what it is. Given the space to flesh out his plot and characters, Bandyopadhyay shows a fine eye for detail and social observation; his characters are nuanced and the stories are atmospheric, even sinister in a way that seems at odds with the comfortably bourgeoisie setting. 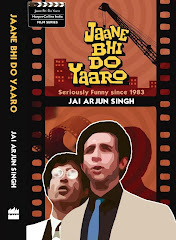 They are also surprisingly candid about themes like extra-marital liaisons, which indicates that they were written in the first place for a mature readership – unlike another famous Bengali detective, Satyajit Ray's Feluda, whose adventures were primarily meant for children (on more than one occasion, Ray mentioned how difficult it was to write a mystery story with "no illicit love, no crime passionel and only a modicum of violence"). In "The Menagerie" (which, incidentally, was filmed by Ray under its original title Chiriakhana in 1967), Byomkesh and Ajit babu visit a strange private farm an hour's train journey from Calcutta, at the behest of its manager, Nishanathbabu. The place, called Golap Colony, is repeatedly referred to as a menagerie and even a "human zoo", and it's easy to see why – living in this self-contained little world are a number of odd characters, the dregs of society, who work for Nishanathbabu. Each of them is ill-placed, for one reason or the other, to earn a livelihood in a conventional fashion. Each of them has something to hide as well, which naturally adds up to quite a tangled weave when a murder is committed on the farm. Thrilling though "The Menagerie" is in the classic detective story vein (there's even a little hand-drawn map of the farm and the various cottages on it), even more absorbing is "The Quills of the Porcupine", which was one of the last Byomkesh stories to be published. This novella is a classic example of how Bandyopadhyay became more ambitious in his later work, eschewing the traditional narrative format and turning his gaze to a larger canvas. In fact, Byomkesh makes his entry quite late into the story, and only after we as readers already know nearly all the facts of the case. "The Quills of the Porcupine" centres on a seemingly random series of murders, each perpetuated with a porcupine quill, each victim belonging to a different class of society. As the plot unfolds, we realise that the murders are in some way connected to the lives of an unhappily married couple and a group of disparate characters who meet each evening for social chit-chat. Intercut with the murder mystery are observations on class and caste differences, the alienation inherent in big-city living, and the dual natures of people – though of course these musings don't preclude an exciting denouement featuring a bulletproof vest and Byomkesh using his "iron fist" to knock out a criminal. In the most ambitious passage of the story, the omniscient narrator follows the nighttime lives of each of the principal characters, using their activities to comment on the dark underbelly of even the most conventional social orders. One gets a sense here of a society in transition, of the restlessness and disaffection of people who live in a big city, and how easily crime can breed in such a setting (at times, it's easy to forget that the period is the 1950s). Bandyopadhyay seems to be making a self-conscious attempt to transcend the trappings of his genre – though the narrative structure feels a little forced at times, it's an undeniably intriguing approach to what might otherwise have been a by-the-numbers mystery. Of course, none of this means that the Byomkesh Bakshi mysteries can't be appreciated at the level of breezy, entertaining stories. One of the reasons I personally enjoy them is they evoke a very particular mood and milieu, an idyllic way of life that is as often the subject of nostalgia as of mirth in our fast-paced world. This involves the indolence that is stereotypically associated with Bengali intellectuals who prefer to flex their cerebral muscles rather than engage in much physical activity – the sort of lifestyle where one might spend the entire morning playing chess with a friend (as Byomkesh often does with Ajit babu) or leafing through the newspapers, then take an afternoon siesta and later wander across unannounced to a friend's house for tea and conversation. The morning crept in slowly. Putiram came in with the tea, but Byomkesh didn't touch it. Neither did he light a single cigarette. He lay in the armchair as if in a stupor, a hand sheltering his face. At noon he got up in silence and had his bath and his lunch. Then he switched on the fan and stretched out on the bed. I knew he hadn't done so for a quick nap. He held himself responsible for Panugopal's death and needed solitude so he could come to terms with it. Moreover, he was desperate to unmask the shrouded assassin who had removed two people in quick succession from the face of the earth. That evening, we sat and drank our tea together. Byomkesh's face continued to look as menacing as a newly sharpened razor blade. And so it goes. Plenty of internal tension and deep thought, but nothing that would justify expending too much physical effort when it isn't strictly necessary. At any rate, modern readers (especially those who haven't grown up with these stories) should find the Byomkesh Bakshi mysteries appealing on a number of counts. The Menagerie is a worthy introduction to Bandyopadhyay's work, though if possible it's advised to read Picture Imperfect first. Hopefully, all the stories will soon be translated and anthologised – the complete adventures of Ray's Feluda are now available in English translation in a two-volume set by Penguin India, and Bandyopadhyay's pensive satyanweshi deserves to be similarly honoured.